At the company's Build 2017 event, Microsoft unveiled 'Microsoft Graph' - a service that will sync your workflows across Windows 10, Android, and iOS. To show off what Graph is capable of, the company also announced the 'Cloud-powered Clipboard,' which is exactly what it sounds like. 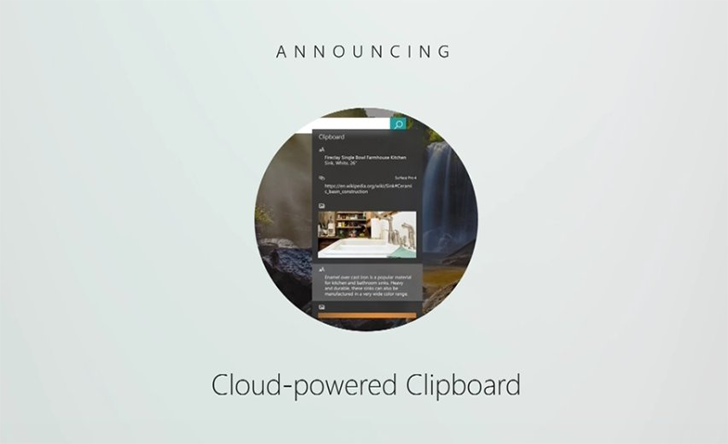 You may already use a service like Pushbullet to sync your clipboard across desktop and mobile. 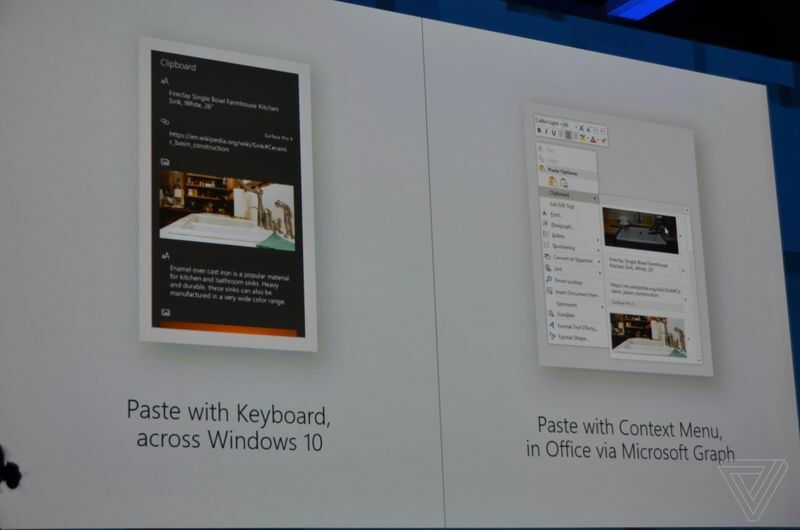 However, Microsoft's solution takes that a step further by building a timeline of your copy content. You can then access (and paste from) this list on apps using Microsoft Graph, like Swiftkey (remember MS bought them?) and eventually Office. Presumably, for apps that don't support pulling your clipboard directly from Microsoft Graph, the Android/iOS Cortana app will keep your clipboard synced at a system level too. But that's just my guess - maybe you will have to use Swiftkey for Android if you want syncing. This feature will likely arrive as part of the Windows 10 Fall Creators Update, scheduled for... the fall. If it works like Pushbullet's clipboard syncing, I'll definitely be switching.